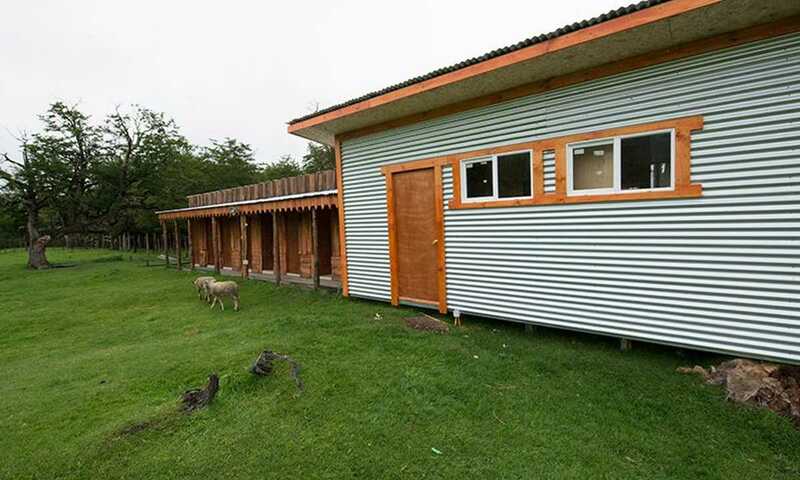 Stay in comfortable cabins or domes in peaceful Serrano Village at Refugio Darwin. 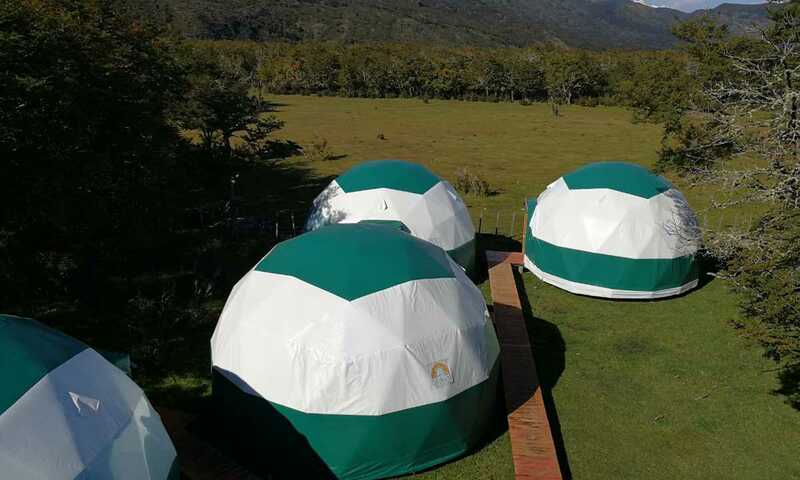 Catch up with other hikers in the communal dining domes and savour delicious meals. There's space for campers, too. You can stay in a dome or cabin, or you can camp if you wish. Whichever option you choose, you will enjoy the peace and quiet amidst the forest. Domes have bunk beds and there's space for up to four people in each. Beds are separated by partitions for privacy, and covers, pillows and sheets are all provided. Each one has solar-powered lights and USB points for charging your devices. There are two cabins available for five people in total. One cabin includes a double bed, whilst the other comprises of a single bed and a bunk bed, for three people. They have their own kitchen, bathroom and dining area. All camping equipment provided: you don't need to bring any gear as you are provided with a tent, sleeping bag and inflatable mattress. If you're staying in the domes or cabins, meals are included and are an indulgent affair. Delicious local dishes are served in the heated communal dining dome which has wooden tables and benches and fantastic views of the Paine Massif. If you're camping, you can set up your cooking equipment in one of the domes. There's also a 'quincho', a traditional cooking room where barbecues are prepared. Domes and cabins have their own bathrooms while there is a separate block of showers and toilets for campers. Bathroom facilities are basic but clean and there are hot showers.